Britain’s Got Talent’s Presenter Has Checked Into Rehab After Becoming Addicted To The Popular Prescription Painkiller Tramadol. 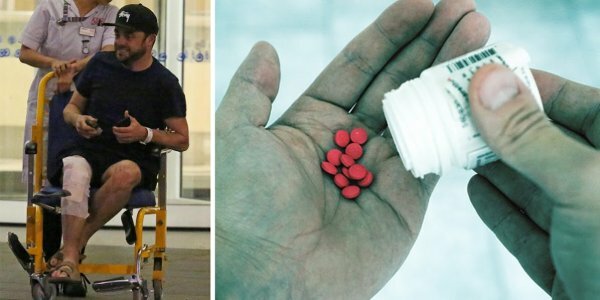 After a knee injury Ant McPartlin has been plagued with pain and Tramadol, that is a milder version of heroin, is an effective fix however there are some serious consequences to over use. Tramadol also acts as an anti-depressant and Ant reported to be suffering from depression after not being able to conceive a child with his wife. This double hit of pain relief and mood lifting effects leads to a potentially lethal and highly addictive combo. As a community pharmacist I often dispensed Tramadol as well as many other opiate based painkillers. It was very apparent and alarming how overly prescribed these medications are considering the serious side effects they cause. Last year it was linked to 33 deaths in Northern Ireland in 2015 – more than heroin and cocaine combined. What Happens When Celebs Get Hooked On Opiate Based Prescription Drugs. Has Ant Mcpartlin just been saved from being on this list of great celebrities who died due to drug overdose? First, it works by binding to the μ-opioid receptor that stimulates the heroin like effects. Then it inhibits the reuptake of serotonin and norepinephrine. – lifts mood like an antidepressant. 30 – 60 mins the mood lifting and pain killer effects set in fully. These painkilling effects peak at about 3hrs, post-oral administration and last for approximately 6hrs. Seizures, increased risk of serotonin syndrome, decreased alertness, and drug addiction although the risk of serotonin syndrome appears to be low. Constipation, itchiness and nausea, among others. A change in dosage may be recommended in those with kidney or liver problems. It is not recommended in those who are at risk of suicide. While not recommended in women who are breastfeeding, those who take it should not stop breastfeeding. The news of Ant McPartlin becoming yet another victim of prescription meds is not surprising considering how widely prescribed they are in the UK. The Independent reported earlier this year that prescription drug addiction ‘to overtake heroin use’ in UK and that a major rehab provider says admissions for prescription and over-the-counter drugs up 22 per cent. This means we have a serious issue on our hands. Ant has become a role model to millions of children in the UK after being a childhood star in the long running series Byker Grove, and then becoming a household name with Britain’s Got Talent. Are children becoming more aware of the higher highs you can get off opiates compared to cannabis, due to the long list of celebrities reported to be using them? Lubo a young student from London says kids are not smoking weed anymore, they rather get high on prescription drugs. Kratom: A Much Safer Alternative To Tramadol? What if I told you that there was a far safer alternative to opiate painkillers that hardly anyone knows about. A natural plant has recently been outlawed in the UK under the new and extremely misinformed ‘The Psychoactive Substances Act 2016’ that has banned all psychoactive substances due to the emergence of legal highs. 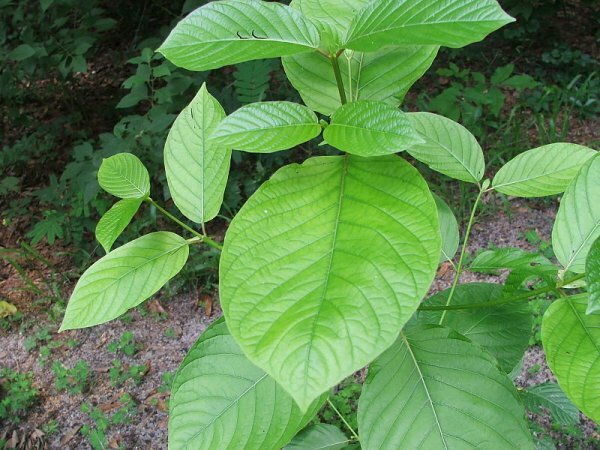 This plant called Kratom is potentially a lifesaver for millions of people dependent on opiate medication. he active ingredient Mitragyna Speciosa is a tropical evergreen tree native to South Asia and commonly grown in Thailand, Bali and Malaysia. It has unusual properties as in low doses (1-5g) it has a stimulant effect but at higher doses (5-20g) it has an opiate like effects that are similar to tramadol but with far less side effects and little to no withdrawal symptoms. It is the intense withdrawal that you get from opiate based analgesics that keeps people hooked on them. There is now a huge worldwide movement of people choosing Kratom over prescriptions meds for killing pain. The Thai government passed the Kratom Act 2486, effective August 3, 1943, which made planting the tree illegal, in response to a rise in its use when opium became very expensive in Thailand and the Thai government was attempting to gain control in the opium market. Kratom comes in 3 different varieties, white, green and red. White strands that originate from Thailand are more stimulating, whereas Red that originate from Borneo and Indonesia tend to be more opiate like. The green strains from Malaysia seem to have a balance of the two effects being both mood boosting, pain relieving and energising. 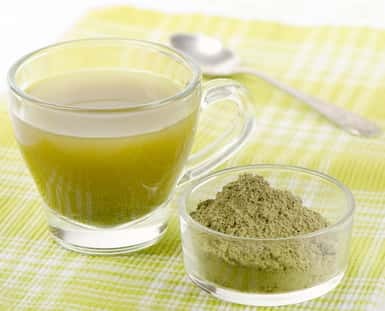 As Kratom is related to coffee, it is also packed with cancer preventing polyphenols and other antioxidants. It actually has 3x more polyphenols than green tea. I personally take the green strain of Kratom in the mornings at a low dose of 2g for its coffee like stimulant effect. I add 2g of powder (about a heaped teaspoon) into a pot of hot water and let it simmer for 15 minutes. I add lemon to it as it helps extract the active Mitragynine alkaloids and makes the drink taste a bit better. I then drink it as a tea on a empty stomach. It gives you an energising feeling as well as a gentle mood lift. Its great for getting into work mode and acts like a powerful nootropic with little or no side effects. I find it dramatically boosts my productivity when I use it. I am yet to see any addiction or tolerance at low doses. At higher doses around 10g I have noticed that in a few people the opiate effects can be a little overwhelming at first, with a marked difference in tolerance between male and female. Female users tend to feel the opiate effects at lower doses than men. I would advise women to take ¾ of a man’s dose. However kratom has now become a preferred substitute to opiates and other harder drugs like methamphetamine across the world, especially in the US and Asia. At the same time, researchers are studying kratom’s ability to help wean addicts from much stronger drugs, such as heroin and cocaine. Studies show that a compound found in the plant could even serve as the basis for an alternative to methadone in treating addictions to opioids. The moves are just the latest step in kratom’s strange journey from home-brewed stimulant to illegal painkiller to, possibly, a withdrawal-free treatment for opioid abuse. However Kratom is clearly a threat to Big Pharma who make billions out of opiate analgesics. Pharmaceutical lobbyists would do anything to keep this plant locked away from the public. It may be a long time before we see it available in Britain again, unless we all campaign for it! We need to research rather than outlaw natural substances that are much safer alternatives to prescription medications. Pharmaceutical companies should not have an ability to influence laws and governments but unfortunately with the current system they very much do. I will be writing a full article just on Kratom soon and how to use this medicinal plant effectively. Let just hope the British government do the right thing and legalize this potentially life saving plant! In the meantime If you want to try Kratom please send a request to support@TheRenegadePharmacist.com and I will send you information on my preferred supplier.
? Greater Manchester To Plant 3 Million Trees, One For Each Citizen This Incredibly Rare ‘Pale Tiger’ May Be The Last Wild One On The Planet ?